I am a diving coach for Conroe Diving Club in Texas, as well as a personal trainer. Conroe Diving Club is ranked top 10 in the country based on its results from 2008 Speedo Jr. National Championship. We had 8 national qualifiers, 8 national finalists, and 1 national champion who went on to take fourth at the Junior World Competition. The IronWear Speed Vest is the most versatile vest on the market. I train some of the top Junior and Senior National Level Divers in the United States and all of my athletes love this vest. 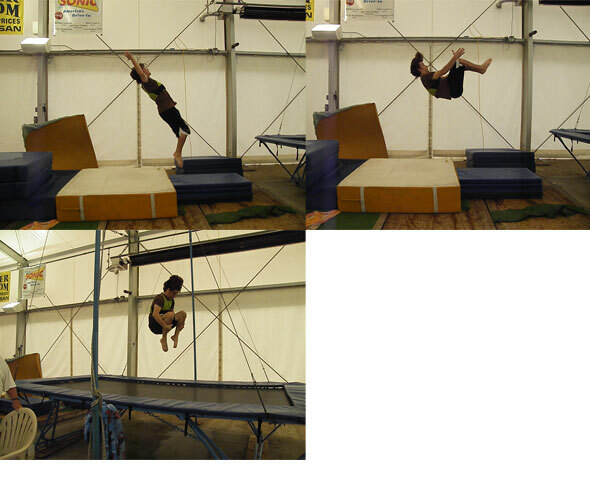 We use the vest for everything from running and jumping to handstands and somersaults. My athletes have tried almost all of the “top” vests on the market and the IronWear Vest is the most comfortable to wear as well as the safest to do flips in because of the flex-metal and the snug fit. Myself, my clients, and especially my divers are thrilled to have found such a great product.